Five Chicago writers take on the stressful side of the holidays in a collection of shorts. The holidays, despite their call for cheer and togetherness, are rife with dramatic possibility. If it's not the life-and-death struggle of a Walmart aisle on Black Friday, it's navigating the minefield of family and tradition. 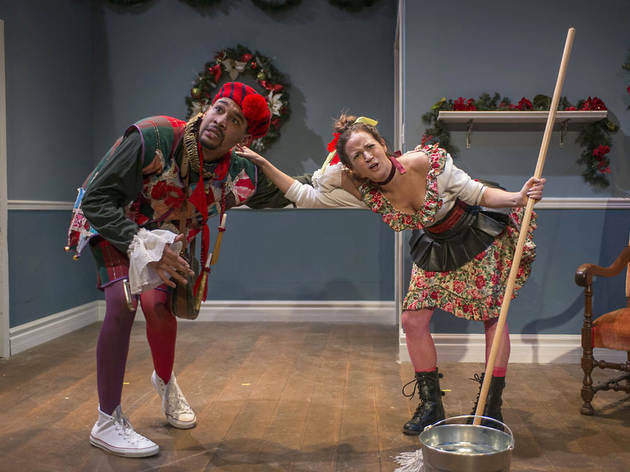 Step Up Productions' HoliDaze, a collection of original holiday-themed one-acts, seeks to explore some of the many facets of this particuarly strange and beautiful time of year. With any holiday-themed show, sappiness is an expected and often unavoidable part of the package. 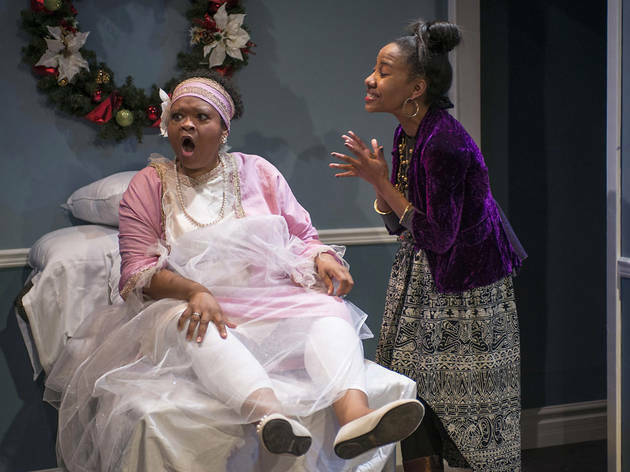 Some of the pieces, like Nambi E. Kelley's For My Brothers Whenever I May Find Them and Lisa Dillman's farcical Christmas Is Made for Fools, embrace it fully. Others attempt subversion. 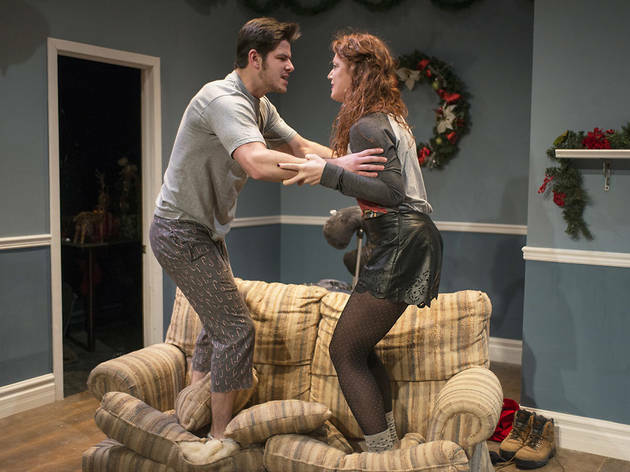 Tate Geborkoff's And the Snow Came Down delves into a twisted boyfriend/boyfriend/mother-in-law triangle that builds into an explosion of drunken fury. It's a nice play on the complex and tumultuous familial relationships that bubble up like so many bottles of champaigne when the family gets together. 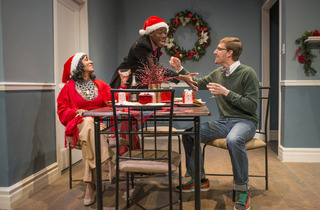 In Joshua Rollins's The Intruder, a couple's argument over whether to sing "The Christmas Song" during their first family-less Christmas becomes the harbinger for their relationship's collapse. The strongest of the night are Steve Simoncic's understated opener The Space Behind Your Heart, in which two middle-aged ChristianMinglers share a Christmas Eve coffee, and Kelley's piece, in which feuding siblings are brought together by the spirit of their mother. 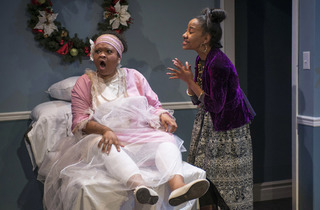 Nadirah Bost is especially stunning in the latter, embodying every bit of the indominable presence her children knew her to be, her energy invigorating every scene. 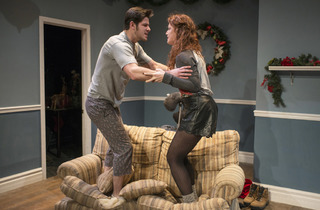 Kelley's play also takes the most risks with its structure, forgoing the familiar closed-room drama for a more Christmas Carol–esque quest for connection among the disparate family members, moving between the present and accounts from each of the siblings of the day their mother died. It seems unconcerned with tricking you or proving its cleverness. Rather, it feels straight from the heart. Even with its appropriately saccarine resolution, it's one of the more touching moments of the night. Short play collections like these can often be grab-bags, and Step Up's is no different. The plays are pretty solid overall, delivered with consistently polished production and brought to life by some fine performers. 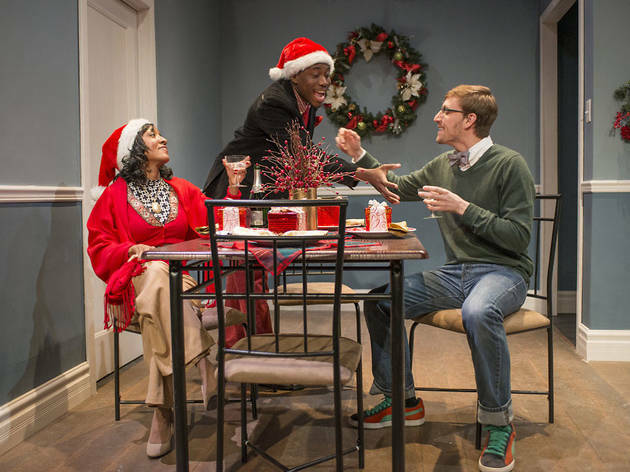 The variety makes it likely you will find something you'll enjoy, but none of the plays quite transcend their holiday-themed status.